The Citroen C1 was a real treat when it was first launched in 2005. It offers agile handling, low running costs and a very reasonable price. The latest model, which was launched in 2012, got a few styling updates, as well as new engines and lower prices so that it could rival the newer Volkswagen up!, Skoda Citigo and SEAT Mii. 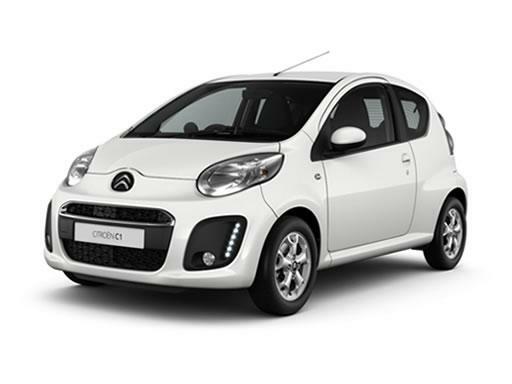 Just like those three cars, the C1 was co-developed with Toyota and Peugeot and the Aygo and 107 from those firms are virtually the same cars. The Citroen C1 costs about the same as the SEAT Mii, which is in the middle of VW Group cars in terms of price, meaning it's among Britain's cheapest cars. As you'd expect from such a small car, the Citroen C1 is perfect for city driving, with a soft ride and light controls to help with driving in tight roads and traffic. Plus, all manual models emits less than 100g/km of CO2, so are free to tax and great on fuel as well. Unfortunately the C1 doesn't match the VW up! In terms of comfort and space, and the Hyundai i10 and Kia Picanto are better value for money with more standard equipment and better economy. Currently a new C1 is being developed, and will be built at the existing plant in the Czech Republic alongside a new Toyota Aygo and Peugeot 108. These new models will have a more upmarket interior and improved efficiency, but don't expect to see them on British roads until later on in 2014. A recent update to the Citroen C1 saw some subtle changes to the design of the city car. The badge on the front was tweaked, and some new headlights were added that look like those on the stylish DS3 and C4 Aircross. There was also a new paint option that looks great, called Botticelli Blue. Plus, if you go for a higher-spec model the grille gets a new chrome strip. The interior has also been refreshed with some better-quality materials and the option for leather upholstery. The C1 comes in four specifications: VT, VTR, VTR+ and Connexion. Avoid entry-level models as they are very sparse, but go for a VTR and you'll get front electric windows, LED lights, air-conditioning, a rev counter and rear head restraints. Higher-spec VTR+ adds 14-inch alloys, front fog lights, a leather steering wheel, tinted windows, new black details on the dash and a Bluetooth connection for your phone. The special Connexion model, made with input from fans, features Caldera Black metallic paint and contrasting Scarlet red detailing on the door handles, mirrors and rear number plate surround. This model also features red detailing around the cabin, including coloured mats, door sills and centre console. A three-cylinder 1.0-litre petrol is the only engine available, which is shared with the 107 and Aygo. It's not powerful, with only 67bhp, but it still reaches 0-62mph in 12.3 seconds - faster than a VW up!. The power steering and suspension were revised recently to improve the handling of the car, but it's still comfortable and doesn't have a hard ride. Unfortunately it's not very good at driving at faster speeds comfortably. There's loads of wind and road noise on the motorway, which means it's nowhere near the SEAT Mii in terms of refinement. A five-speed manual gearbox comes fitted as standard, but an EGS automatic is also available and wheel-mounted paddle shifters can be added as well. Be aware, though, that automatics do lose out on fuel consumption. The Citroen C1 really lags behind on safety, as it only scored three stars in the Euro NCAP crash safety tests - and aside form its Toyota and Peugeot siblings the marketplace is full of cars that scored the full five stars. With 71 per cent in the safety assist category and just 68 per cent for adult occupant protection, the C1 was described as having “failed to keep abreast of latest safety developments and standards.” With the Volkswagen up! and Fiat 500 both getting five-star ratings, Citroen was forced to act, and stability control and some extra safety features have been added to increase customers' peace of mind. Citroen came in at 24th out of 30 in the 2013 Driver Power customer satisfaction survey, which is higher than rival SEAT but lower than VW and Kia. No major problems have been reported with the C1, and the Toyota Aygo, which is essentially the same car, has proved popular on Driver Power in the past, so it should be fairly reliable overall. Practicality isn't expected in a tiny car like this, but the C1 is really below par. Thanks to a 139-litre boot it's got even less space than the tiny Fiat 500, with 185 litres, and the VW up!, with 251 litres. You have to get a mid-spec VTR model for a folding rear bench seat, too. This does increase luggage space to 751 litres, which is actually more than the Fiat 500 but still less than the spacious VW up!. Go for a VTR+ model and the 50/50 split-folding rear bench means you can use this space even with one passenger in the rear seat, which is useful. Storage around the cabin is decent, with a handful of cubbies and door bins. Go for the five-door model if you've got passengers getting in and out regularly, as it's much easier than with the three-door model. Space in the rear is decent, and the driving position is good, too. The light steering and tight turning circle make parking and three-point turns easy - perfect for city driving. The Citroen C1 is only available with one engine, which emits just 99g/km of CO2, so it's tax-free. The engine also returns 65.7mpg with the five-speed manual gearbox. If you opt for the EGS automatic, it drops fuel economy and emissions to 62.8mpg and 104g/km, respectively.